Columbia, Mo. 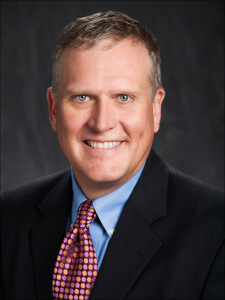 (April 2, 2015) — University of Missouri Provost and Executive Vice Chancellor for Academic Affairs Garnett Stokes announced today that David D. Kurpius, professor and associate vice chancellor for enrollment management at Louisiana State University, will be the new dean of the Missouri School of Journalism, effective July 1, 2015. In his new role as dean, Kurpius will provide leadership and help shape the future of journalism and strategic communication through the School’s missions of education, research and engagement. He will lead the School in development of strategic and innovative interdisciplinary programs, industry outreach, alumni engagement and fundraising, effective recruitment nationally and internationally, and promotion of best practices in traditional and emerging forms of journalism and strategic communication. At LSU, Kurpius managed 89 staff members and a $5.6 million operating budget. He also oversaw almost $305 million in state and federal financial aid and scholarships. Kurpius has been with the LSU Manship School of Mass Communication since 1997 where he served as associate dean for undergraduate studies and administration from 2005 to 2010. As a professor, he taught advanced newsgathering classes, public affairs reporting and courses on minorities in journalism. Kurpius also served as the director of the Office of Student Media, which is home to LSU’s five student-produced media outlets providing news, information and entertainment to the campus as well as a hands-on learning opportunity for print and broadcast journalism students. Kurpius has published studies in more than 20 peer-reviewed journals and books on subjects ranging from civic journalism to local television news. As a researcher for the Kettering Foundation, Kurpius studied how journalism educators could effectively teach the connections between media and democracy. At the Pew Center for Civic Journalism, he led discussions on building broadcast newsrooms that focus on civic responsibility using qualitative data he collected and analyzed. Kurpius is a regular reviewer for journals, national journalism competitions and the Accrediting Council on Education in Journalism and Mass Communication. Kurpius received a bachelor’s degree in telecommunication from Indiana University in 1986, a master’s in 1995 and a doctorate in 1997 in mass communication from the University of Wisconsin. Founded by Walter Williams in 1908, the Missouri School of Journalism is the world’s first school of journalism. The School educates students for careers in journalism, advertising and other media fields by combining a strong liberal arts education with hands-on training in professional news media and strategic communication agencies. The Donald W. Reynolds Journalism Institute, launched in 2004, engages media professionals, scholars and other citizens in programs aimed at strengthening journalism in the service of democracy.